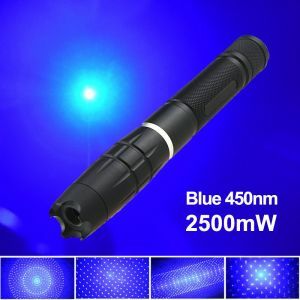 High Power 3000mW 445nm Blue Laser Pointer, able to ignite matches, cigarettes, burn papers, plastics, wood, and engrave on low melting point metals. adjustable focus, interchangeable lens design, comes with 5 laser lens. 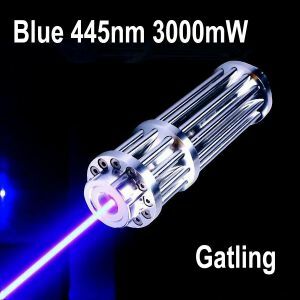 This is a REAL 3000mW 445nm Blue Laser Pointer(Class 4 Laser	IV), the same as other sellers labeled "30000 mw" or "30 watt". 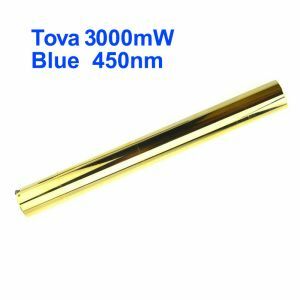 It is able to ignite matches, cigarettes, burn papers, plastics, wood, and engrave on low melting point metals. 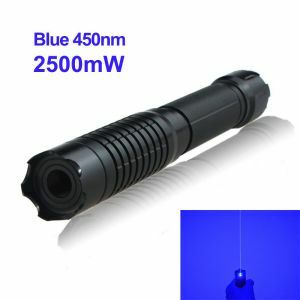 The laser's brightness and focus are adjustable. Laser Beam Divergence is less than 2.5 mRad for the parallel light beam. 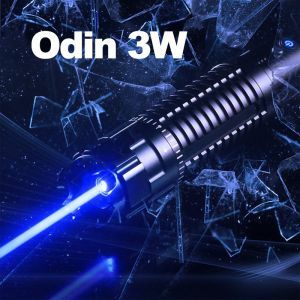 It is of interchangeable lens design, come with 5 laser lens, more fun to play with. Want a powerful laser sword in Star Wars? BUY NOW!